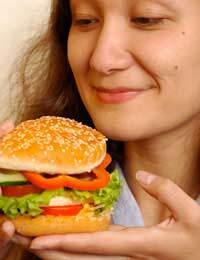 Home > Types of Fast Food > Fast Food Rated: Who Does the Best and Who Decided? It might have been undertaken in the United States but a survey into the favourite fast food seems to show that it’s not necessarily the burger that wins out in these health-conscious times when it comes to our favourite fast food treats. The results of the survey were revealed live on the US Today programme in September, and looked at 136 different fast-food and full-service chains across the country. Participants were asked to cast their votes on zagat.com, and a total of 6,518 voters happily gave the website their opinions on everything fast-food related, from fried chicken and burgers to healthy fruit smoothies and sushi. The Zagat Survey isn’t just an Internet phenomenon. The survey was actually established by a couple called Tim and Nina Zagat in 1979 as a way to rate New York City eateries, and initially started as just a survey among their friends. They give restaurants a rating on a 30-point scale which covers everything from food, decor, service, and value for money. The survey also features a description made up from reviewers' comments, restaurant prices and other information.The Fast Food survey split fast-food venues into four separate categories: Large Chains (up to 5,000 U.S. outlets), Mega-Chains (more than 5,000), Full-Service Chains (with table service) and Quick-Refreshment Chains (beverages,, frozen treats and similar). The major US chain Wendy’s was the winner of the Mega-Chain category. So Which Fast Food Companies Did Well? According to the 2010 Fast Food Survey the best fries of all the fast food kingdom come from an old favourite – the Golden Arches are still responsible for the US’ favourite. According to the survey, reviewers voted for the McDonalds fries ‘overwhelmingly.’Another burger chain that dominates the US (but pulled out of the UK in 2000) is Wendy’s. Wendy's was ranked top for food, and second for facilities of all the Mega Chains. Maybe it’s time for the chain to re-introduce restaurants into the UK? Burger King trumped McDonalds in the burger wars coming fourth after Wendy’s. The only fried chicken establishment that ranked in the survey was (no surprises) KFC, who placed first for their well-loved fried chicken menu, and third for Top Food. Wendy's 1st reached place in the Zagat survey for Most Popular and Healthy Options, and was also in the top five for Best Fries, Grilled Chicken, Fish, Milk Shake, Best Value and Best Value Menu. Ice cream lovers won’t be surprised to hear that it was Ben & Jerry’s who won the Quick-Refreshment category. The healthy options were definitely proving popular with Subway triumphing for the For the second consecutive year. The chain was voted as consumers’ number one choice for Most Popular, “Top Service and Healthy Options". Zagat said that Subway’s winning quality had to be their combination of fresh ingredients and the healthy end product. If it’s value that’s the most important consideration, the ubiquitous McDonalds comes out on top with a prize for Best Value among fast-food establishments. They came out winners of the Best Value Menu, Most Child Friendly and Best Drive-Thru.